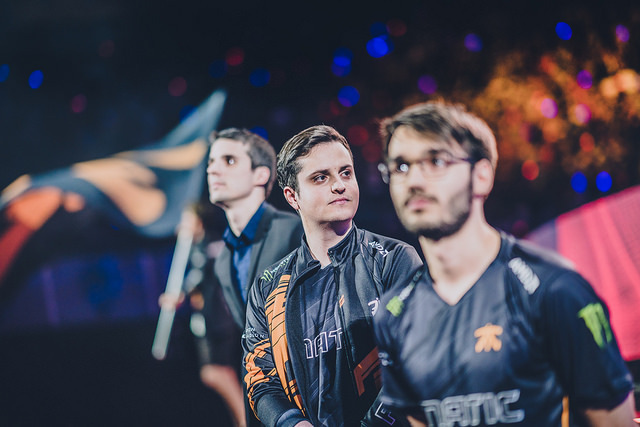 After Fnatic's win at the EU LCS Summer Finals, Blitz Esports caught up with toplaner Paul "sOAZ" Boyer to talk about his latest victory, his dynamic with Bwipo behind the scenes, and how this year's roster compares to 2017 Fnatic. This is your fourth LCS finals that you have played in and won. You weren't able to play in Copenhagen, due to injury. Does this win feel more special than the others, knowing that you came off of injury and couldn't play the last time? Yeah, it obviously feels a lot more special, more so because the last time I won on EU LCS was a pretty long time ago with old Fnatic. The main goal for everyone is always to qualify for Worlds; we're already qualified for Worlds, so we could fully focus on winning this split. And it felt more special because of the fact, as you said, that I was injured Spring split, and in theory yeah, we won, and I was part of the team, but I was not really with them playing, anything like that, so it feels a bit more special. Especially since I played three games and won all three. So it feels nice. For more than one series now, you started on the bench and came in later in the series. 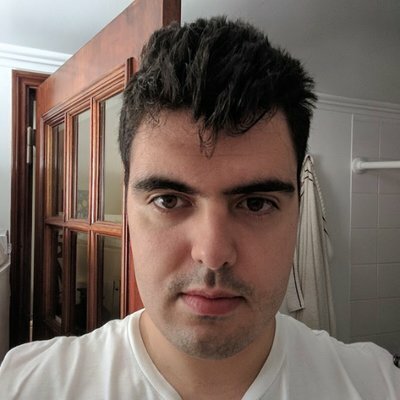 Can you explain a bit of the dynamic between you and Bwipo, and what you try to learn when you're watching the game from the sidelines? We had a talk with YoungBuck, Dylan, Bwipo, and me because, for example in semis, there was a clear plan of what we were going to do in terms of draft and starting with Bwipo and stuff like that. This time around there's no reason to start me or Bwipo. They asked us both what we preferred, if Bwipo maybe preferred to start or play after, or if I preferred to start or play after, and we both said that we didn't mind. They can just choose whatever they wanted, and then we just ended up doing the same thing as in semi-finals, starting Bwipo. For the finals, we pretty much shared the same champions. There's no real difference between what he was gonna play or what I was going to play. Against Schalke it's a bit hard, because what I learned the most is probably to watch my lane, but I would also tell them stuff like what I think they are going to do, because the team comp is gonna be completely different for certain games. So I just give different opinions. But yeah, I just learned more about enemy plays, jungle pathing most importantly. Level ones, what you can exploit, in terms of what you want to do. Maybe you can do an invade there, maybe this guy is overextending level one so you can do this cheesy path, or if you have a champion that can dash over, you know Shen or whatever. There's a lot of things to see, and Dylan and YoungBuck also help with that, so it's just another opinion. 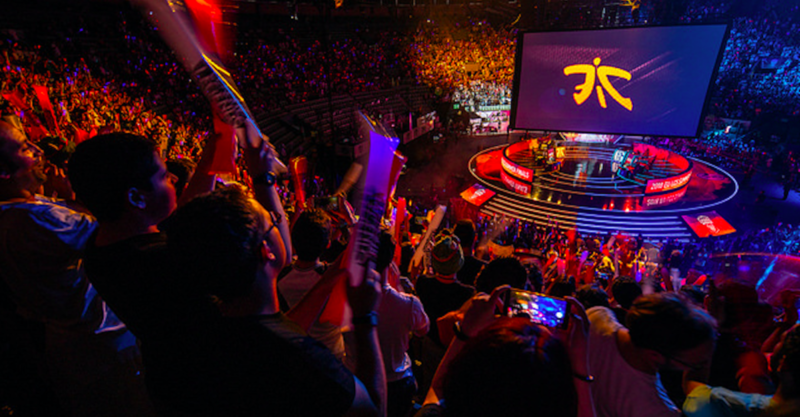 What’s the difference between Fnatic from this year and last year? 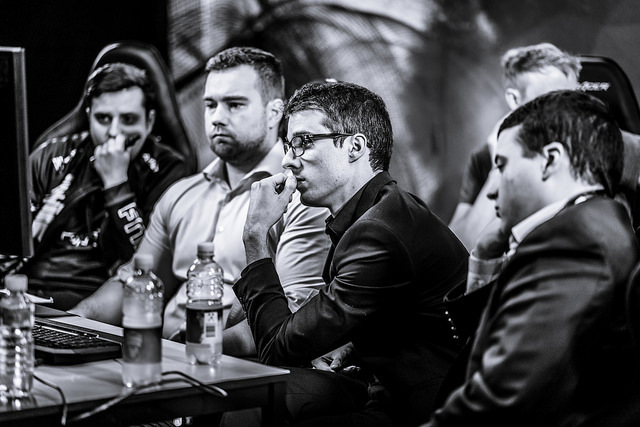 I think Fnatic last year seemed to hit a wall, it seems like you guys hit your ceiling and that was it. And then, I'd say, this year you're looking stronger going into Worlds, so I wanted to know what you guys improved on the most. What we improved on the most... probably being more flexible. It felt like last year, especially on the Worlds and stuff like that, we—I feel like it was really hard to do picks and bans with the team. There were a lot of issues in terms of what people wanted to play. I wanted to get your thoughts on the meta. Top lane is mainly tanks right now but there’s some Gnar and Gangplank showing up occasionally. Will we see you play non "dog champions" at worlds? Also, what are your thoughts on Urgot right now? From what it looks like, Urgot is like the go-to top blind and can also be flexed to mid, so he is overall pretty strong, but wouldn't call him OP. Gnar can be played into Urgot and some other match ups, but this is more of team preferences; some might pick some other champions and the same goes for GP, besides Urgot and Aatrox the other carries need to be used as counter picks I think. The whole arena chanted your name when you were introduced, do you have any special words for the Spanish crowd? It felt very nice to hear the crowd chant my name especially after hearing that I won't be doing the ceremony, but thankfully Riot changed that and i could participate and then that happened, so even though I did not play the first game, I was pumped and ready for the matches.